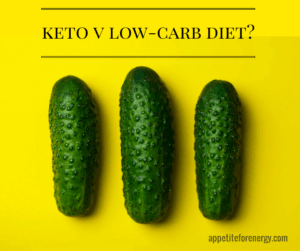 You’ve heard the hype about low-carb or Ketogenic Diets and are wondering what it’s all about. Why are so many people talking about the ketogenic lifestyle and should you give it a go? A common benefit of low-carb eating is reducing tummy bloating. This happens for a few reasons. Firstly, you are eating less food overall compared to a standard high-carb diet. The digestive load on your body is greatly reduced. Also, many people experience low level bloating as a result of eating wheat, gluten, legumes and other common gut irritants. Removing these eliminates excess gas in the digestive system. For people with Alzheimer’s, Parkinson’s, epilepsy or simply aging brains – there is a decline in cognition due to the reduced ability of the brain to use glucose. Ketones, which are produced in the liver when a person is in nutritional ketosis, provide an alternative source of energy for brain function. For healthy individuals, there is quite a lot of anecdotal evidence to suggest that fueling the brain on ketones by eating a ketogenic diet can provide a boost to cognitive skills and focus. Many report that brain fog disappears and a mental alertness is enhanced when eating low-carb. The Ketogenic Diet is known for its anti-inflammatory properties and this has been well-studied over the years. Inflammation is the body’s response to injury or damage and this can occur in the gut by eating processed foods and sugar. This irritates the gut which then causes the immune system to react and this leads to inflammation. Unchecked inflammation over many years has been linked to cardiovascular diseases, various cancers, diabetes and some autoimmune diseases. Many studies have shown that high fat, low-carb diets are the best for weight loss, including one which showed that subjects on a low-carb, ketogenic diet lost up to 2 times more weight than those on a low-fat, low-calorie diet. The first reason is that once your body enters the state of ketosis, it will start burning fat efficiently and quickly. This means that it becomes easy for your body to burn fat as fuel, instead of carbs. When you are eating carbs, the body will use those carbs to supply energy before it uses fat. The Ketogenic Diet unlocks fat as a fuel source!The second and very important reason is that once your body adapts to burning fat, you stop feeling hungry all the time and this helps to lower calorie intake. Eating a ketogenic diet results in lower blood sugar levels. High blood sugar levels are often the result of eating too many carbohydrates. The body produces insulin in response to carbohydrates in the diet. When too many carbs/sugars are eaten, the body cannot keep up with the insulin required to process them. Sugar or glucose then builds up in the blood causing high blood sugar levels. Eating a high fat diet reduces the blood sugar swings that you experience when eating lots of carbs. If you’ve experienced these blood sugar swings, you will know that they make you feel desperately hungry and you never feel satisfied for long. Studies have shown benefits for people with diabetes. Benefits are not just restricted to weight loss but include significant improvements in insulin resistance and some type 2 patients being able to stop or reduce diabetes medication. People on diabetes medication should be under close medical supervision while on a ketogenic diet. Do you get the 4pm energy slump and find yourself reaching for chocolate to get you through? This is because blood sugar levels fluctuate a great deal while eating carbs and your body is looking for a glucose hit to provide more energy. With Ketogenic eating, blood glucose levels remain stable so you have a constant and consistent supply of energy throughout the day. You can avoid blood sugar swings and voila…. no more mid-afternoon energy crashes! One of the more useful reasons to try the Ketogenic Diet is that you will not feel the ravenous hunger that you get when eating a high-carb, low-calorie diet. Goodbye to food cravings! You will be eating less food overall, but because of the high-fat content, you will feel satiated for longer. This, in turn, helps you to lose weight. When you eat carbs, you get an immediate spike in blood sugar. Once blood sugar drops, you feel hungry again. As blood sugar levels are very stable on the Ketogenic Diet, you don’t feel the same extreme hunger. Hunger between meals will greatly reduce if not disappear. You will be able to go for longer and longer periods before feeling hungry. After eating a ketogenic diet for a while, many people find that they only need to eat once or twice a day. Finally, you can stop thinking about food all the time and many find this a great relief. Cardiovascular risk factors have been shown to improve on the Ketogenic Diet. Studies have shown significantly reduced triglycerides and increased HDL (good cholesterol) on a low-carb or ketogenic diet. Epilepsy Study: A randomized controlled trial of the ketogenic diet in refractory childhood epilepsy. Can it help adults? John Hopkins Hospital, a world leader in dietary therapy, writes that the modified Atkins diet has been shown in recent studies to lower seizure rates in nearly half of adults that try it. Ketogenic diets for controlling seizures should be done under the close supervision of a medical professional. In the first week of a ketogenic diet, there is an initial weight loss as the body releases excess water and toxins. While this isn’t fat loss, it feels great and provides a fantastic motivation to continue. People following a low-carb diet found it easier to stick with, compared to those taking a low-fat approach. This study showed that 76% of participants stuck with the Ketogenic Diet, while only 57% stayed on the low-fat diet over 6 months. The Ketogenic dieters reduced their weight by 12.9% compared to 6.7% in the low-fat group. his one is another great benefit that results from more stable levels of blood sugar. Better glycemic control removes “hanger” (when you get angry easily because you are hungry!) and brings a stable source of energy. Some keto dieters even report a type of euphoria while on the diet. If you like 30 minute recipes, FOLLOW us on Pinterest to get access to our collection of hundreds of 30 Minute Low-Carb recipes…. so excited to start and get a healthy lifestyle! !